At 5,895 m (19,340 ft), Mt Kilimanjaro is Africa's highest peak and this adventure along the Marangu Route will get you to the top safely, quickly, and with your budget in mind. Overnight in mountain huts and awake ready to conquer the slopes. 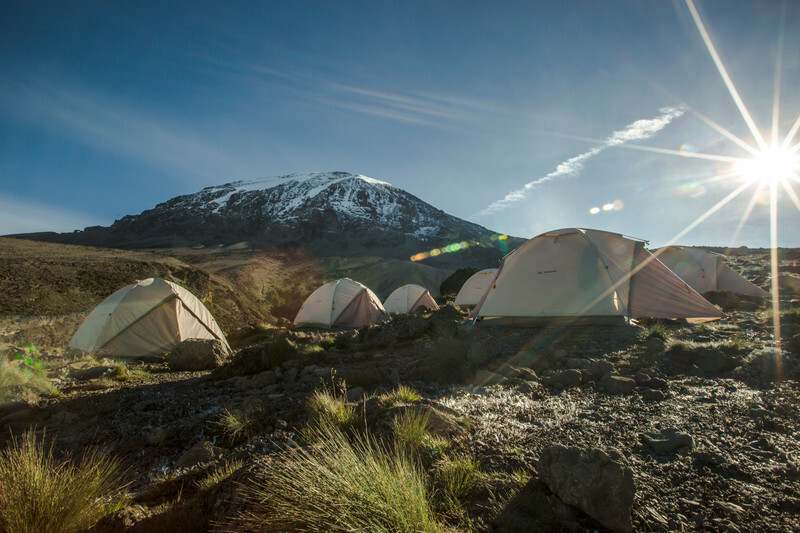 As a leader in Kili treks, GAdventures takes you to new heights in adventure on your way to the roof of Africa. 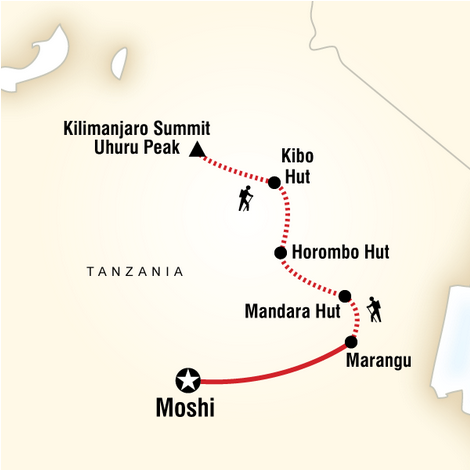 Marangu covers forests, moorlands, and "the Saddle" (a high-altitude desert), on its way to Kibo Hut. This is the quickest route to summit – with a catch. The trail is well maintained but because of the quick ascent, the success rate is not as high as other routes. Local guides, cooks, and porters will provide support during your trek and at campsites along the way. As a one-week journey for active and fit travelers, and year-round departures, this is a perfect family holiday, bonding experience for couples or groups of friends. ASK US ABOUT SEEING MORE OF AFRICA PRE OR POST YOUR KILI CLIMB! Accommodations Simple hotels (2 nts), mountain huts (4 nts). Meals 6 breakfasts, 5 lunches, 4 dinners Allow USD70-95 for meals not included. Transportation Private minibus, trekking. Staff & experts Certified mountain guide throughout, local representative, cook, porters. Serious high-altitude hikes, cycling, or other instances of heavy exercise. Come prepared to sweat a bit. Small group experience; Max 12, avg 10.